At last week’s American Forage and Grassland Conference in Louisville, Ky., clovers were front and center at one of the many discussion workshops. 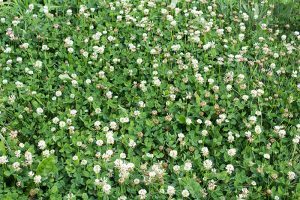 “Clovers have played an important historical role, play an important role at present, and I believe their future is extremely bright,” said Gary Lacefield, retired extension forage specialist with the University of Kentucky. From an agronomic perspective, the virtues of clover are well documented. They can improve both the yield and quality of pastures, expand the seasonal growth distribution curve, provide nitrogen to companion grasses and subsequent crops, and help mitigate the negative effects of toxic tall fescue. The amount of nitrogen being fixed by clovers is directly related to the yield of that clover, noted Dennis Hancock, extension forage specialist with the University of Georgia. “If you’ve got a pasture with nothing but 2-inch-tall Dutch white clover, don’t expect it to meet the nitrogen needs of the grass,” Hancock said. “Further, grass-clover mixes that fix X amount of nitrogen can equal the yields of grass fertilized with X amount of nitrogen. The grass doesn’t distinguish between legume and fertilizer nitrogen,” he added. Hancock explained that the distribution of grass growth during the season might be different if you rely solely on clovers for nitrogen. In the case of bermudagrass, legumes can easily shade the grass and reduce its productivity. From a forage quality perspective, clovers have a lot to offer. Though maintaining a beef cow can be done with most any forage type, if we’re trying to get a cow bred, maintain milk production, or put growth on animals, it’s going to take high-quality cool-season grasses and/or legumes. Hancock cautioned not to give clover too much credit for “diluting” the toxic effects of tall fescue. Even though the clover adds quality to the pasture diet, animals are often still getting a toxic dose of alkaloids from the grass. Clovers may not always offer an economic benefit. For example, research shows that they are less likely to result in better animal performance when paired with warm-season grasses. Hancock also noted that clover longevity is an important consideration. When interseeded clover plays out by the third year, productivity of both the pasture and animals suffer. Several other factors also may shorten clover persistence. These include broadleaf weed management, nitrogen applications, continuous grazing, and hoof damage. Hancock emphasized the need for rotational grazing to enhance the persistence of grass-legume pastures. 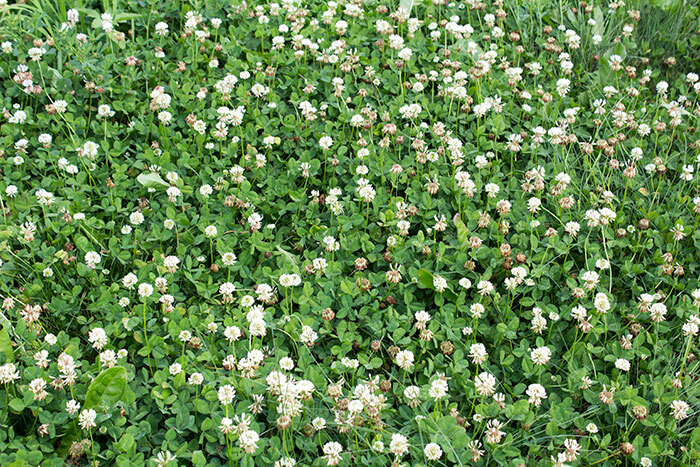 Grass-clover pastures come with the realization that: 1) If broadleaf weeds need to be controlled by herbicides, more than likely the clover will be killed as well, or 2) Over time, broadleaf weeds have the opportunity to proliferate if no attempt is made to keep them at bay with a herbicide. This has been a long-standing conundrum. Pat Burch and Scott Flynn, field scientists with Dow AgroSciences, discussed current weed control options in grass-clover pastures during the workshop. They also shared research data for a new Dow product that is in development for controlling a wide range of broadleaf weeds without killing white clover. The new herbicide, currently referred to as GF 3731, will be comprised of a new active ingredient that is very selective for white clover, though the clover may temporarily show signs of injury. Lodging is the most prominent symptom and some varieties of white clover are more tolerant to the chemical than others. The scientists noted that the product is not currently registered and will not be on the market for at least two more years. Stay tuned. Clovers offer great opportunity to enhance animal performance and productivity per acre; however, there are situations where this won’t be the case. 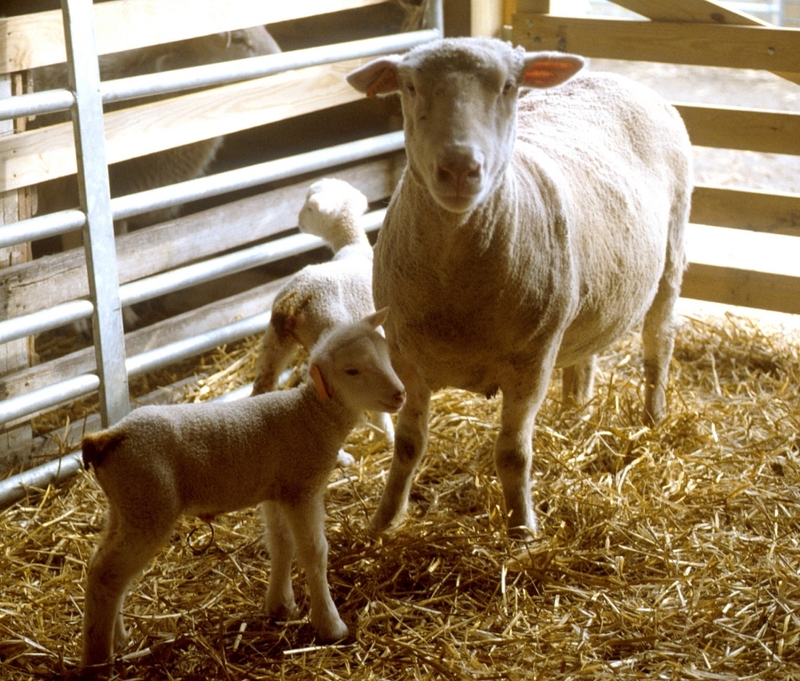 The chances for economic return are greatest when clovers persist in cool-season pastures, nitrogen fertilizer prices are moderate to high, and added benefits exist such as when clover is established in toxic tall fescue pastures. Posted by Braden Campbell at 8:00am February 7, 2018 Posted in Forages and Pasture and tagged Forages and Pasture. Bookmark the permalink.